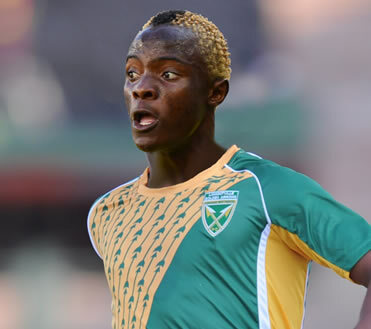 Zimbabwean international Kuda Mahachi scored his first goal for Golden Arrows last night when his side beat Supersport United 2-1 in a ABSA Premiership match. Mahachi moved to Golden Arrows after struggling with game time and form at Mamelodi Sundowns. Golden Arrows took the lead through their captain Matome Mathiane. Mahachi then added the second just before the half time break. It was a well taken goal with Mahachi working his way past Bongani Khumalo before firing a shot. Supersport United tried to get themselves back into the game through another Zimbabwean international Kingston Nkhatha who pulled one back in the 66th minute but the damage had been done. NextMourinho critical of refs again!